Sharjah, 9 April 2018: Sharjah Children’s Reading Festival (SCRF), organised by Sharjah Book Authority, has launched four competitions on cooking, news reporting, poetry and innovation during its 10th edition, which will take place at Expo Centre Sharjah from April 18-28. The contests are designed to discover, nurture and improve the youngsters’ literary and creative skills, including the ‘Little Chef’ competition for age groups 6-10 and 11-16, sponsored by Chicken Teka restaurant. Little Chef aims to enhance culinary knowledge and techniques in a fun, safe learning environment as well as encourage the children to prepare healthy meals and reduce their intake of fast food. SCRF is also challenging schoolchildren across the UAE to produce the best news report about a festival seminar they have attended in order to enhance their linguistic and writing skills and discover promising talents in journalism. In keeping with its role to strengthen a wide range of literary abilities, the festival will also manage a children’s poetry competition to instill a love of the Arabic language and develop elocution, expression and pronunciation. The competition covers three categories; the first is for pupils from grades 1-4, who will commit one poem of 10 lines to memory; the second is for pupils from grade 5-8 who must memorise two poems of 10 lines each; and the third covers students from grades 9-12, who must recite three poems of 10 lines each. Students will be given a selection of poems to choose from. SCRF 2018 is also launching the ‘Innovation Award’, for those who come up with pioneering concepts in different fields of science and knowledge using innovative and creative ideas. 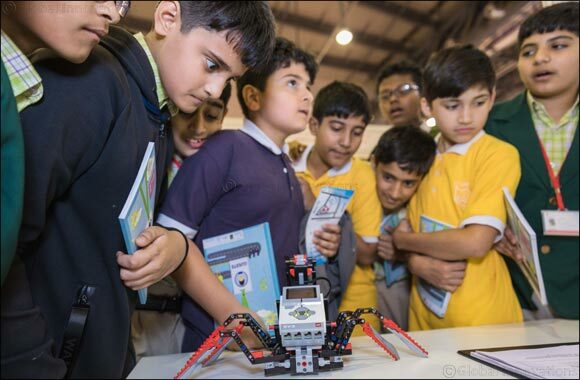 The competition will be held in collaboration with the Sharjah Science Museum and is designed for children aged 9-15 years.